At the end of March, MealFlour met with a group of 20 community leaders from various neighborhoods in Xela. MealFlour took the women through an overview of nutrition, mealworms and mealworm farming, and the MealFlour program. After looking at model farms and tasting sample mealworm protein powder products, the group discussed the feasibility of teaching MealFlour program in their neighborhoods. MealFour will work with the interested leaders in the coming months to assist them with developing a MealFlour training program that fits the needs of their communities. Weekly follow-ups with the community of Candelaria continue to show progress and excitement. 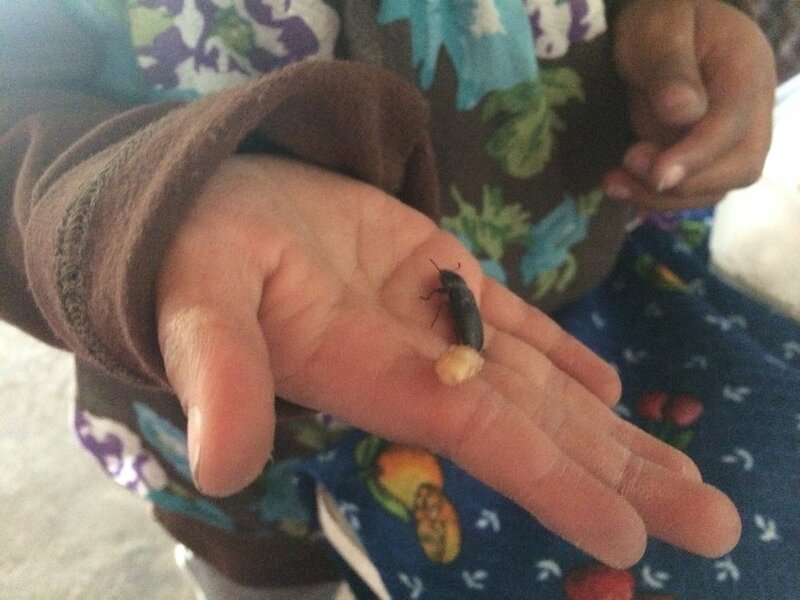 Thanks to the new farming techniques created by the women to combat chilly Xela nights, almost all farms now have a new generation of mealworms. The program also has organically expanded to another community in the Palajunoj valley, Xecaracoj, where one of our original participants moved. MealFlour also continues to visit our test-farm in the town of San Martin Zapotitlan in the Retalhuleu Department. In 2016, MealFlour worked with a group of students from throughout Guatemala who are training to be teachers. The students will graduate in 2018, and last month MealFlour lead a discussion with those interested in learning to teach MealFlour classes in the future. MealFlour also traveled to Guatemala City to meet with representatives from the Guatemalan Ministry of Agriculture to begin conversations about the regulations of insects in Guatemala. MealFlour is excited to announce that we've been selected by the Classy Awards as one of the top 100 most innovative, impactful, and effective programs of 2017. Its not too late to donate to MealFlour! We have an open donation line on our website. Thank you so much to everyone who has supported us so far. You can also still receive 10% off Entomo Farm's edible insect products - 10% of your purchase will also be donated to MealFlour (Code: mealflour). Are you following MealFlour on Facebook and Twitter? Receive live updates from MealFlour by following us on social media.